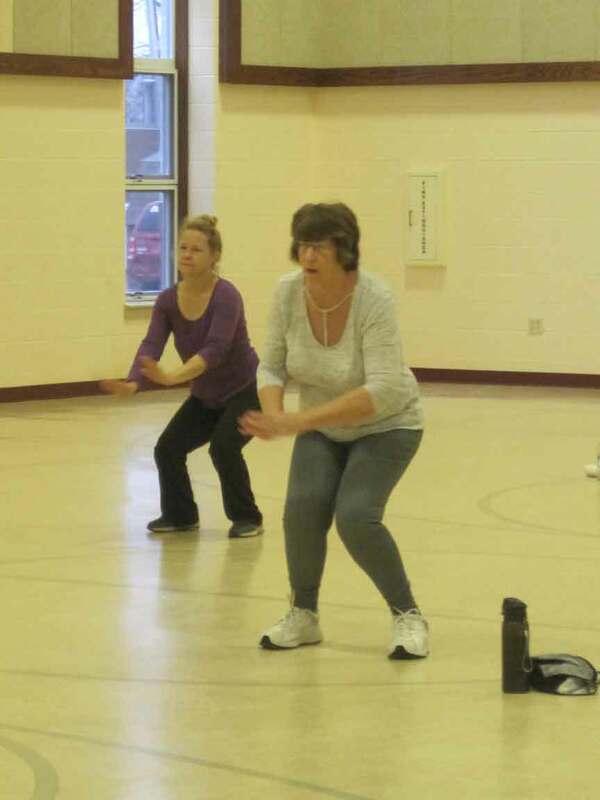 ANDOVER – Several locals didn’t let the holiday weekend deter them from staying active thanks to an Ashtabula YMCA’s outreach Zumba class on Monday, Nov. 26 within Andover UMC under the direction of Michelle Ocilka. (From Nov. 30 edition). According to Ocilka, who lives in Roaming Shores, the Zumba course was added in Andover back in October and since then has been a lot of fun for those who participate in it, including herself. Of the participants involved that day included Robie Council and Maryella Brauns of Williamsfield, along with Lela Morton, Shirley McHugh and Cay Tomerlin of Andover. In addition to the Latin-inspired dance course of Zumba, which is offered every Monday and Thursday from 9 a.m. until 9:50 a.m. for $5 a session, Ashtabula Y also offers several other outreach programs in Andover at the church throughout the week as well. Of these include a Cardio Circuit Class on Mondays at 5:30 p.m., Silver Sneakers at 10 a.m. on Tuesdays and Thursdays, Chair Yoga Stretch on Wednesdays at 10 a.m. as well as Tai-Chi on Wednesdays at 1:30 p.m.
Pictured: Robie Council and Shirley McHugh crouching down during a Zumba exercise led by YMCA Instructor Michelle Ocilka in Andover.